M. Kenichiro Yoshida has been Representative Corporate Executive Officer of Sony Corporation since April 2014 and its President and Chief Executive Officer since April 1, 2018. He joined Sony Corporation in April 1987. Mr. Yoshida has been the Chairman of the Board of Gamepot, Inc. since June 2011. Occupation: President of SIE Worldwide Studio, Representative Corporate Executive Officer oF Sony Corporation. 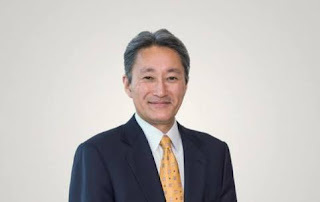 Mr. Kenichiro Yoshida was filled in as Chief Strategy Officer, Deputy Chief Financial Officer, Executive Vice President and Corporate Executive Officer at Sony Corporation since December 1, 2013 and has been its Senior Managing Executive Officer since June 2005. Mr. Yoshida filled in as Executive President of So-net Entertainment Corporation since April 1, 2005 and its Senior Executive Officer since June 2008. He joined Sony Corporation in April 1987. He has been Chairman of the Board of Directors at Gamepot, Inc. since June 2011. He has been a Representative Director of Sony Bank, Inc. since February 2002. He joined So-net Entertainment Corporation in June 2005 and has been its Director from that point forward. He fills in as a Non-Executive Director of So-net Entertainment Corporation since January 1, 2014. He fills in as a Director of M3, Inc. since September 2000; Chorokbaem Media Co., Ltd. since March 2011 and Gamepot, Inc. since July 2010. He filled in as a Director of So-net Entertainment Corporation since April 1, 2005.